Specialty rides contain everything your looking for in your fall and Christmas season. With our unique hayride, the fall will never be the same. 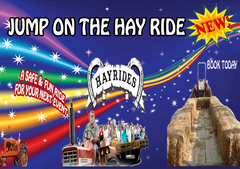 You can add a hayride to any event or birhtday party package. 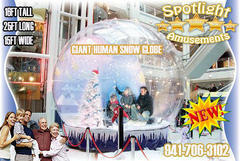 Our snow globe picture ride is a chance of a lifetime to take your picture inside your very own family snow globe and don't leave out the ONLY snow in Florida. 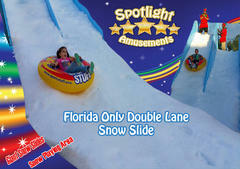 Spotlight Amusements is proud to be one of the leading snow slide rental companies in our region.